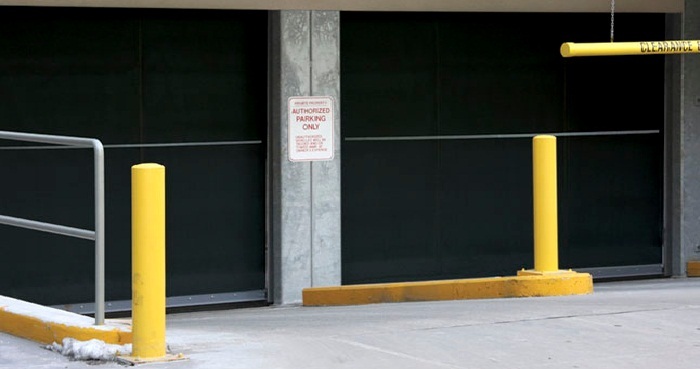 Introducing a springless low-headroom rubber roll-up door designed for use in underground parking applications for condos, office complexes, hotels and airports to name a few. This high performance door is best suited for any application where head room clearance is a concern. Maximum door width is 25’ 0” and maximum door height is 10’ 0” with a minimum requirement of 18” head room clearance. It is designed to take full impacts with little or no downtime and is easily reset from the floor without the use of special tools or parts. The Model HDP includes a high-efficiency helical gear head operator with a multi-function capacity PLC (programmable logic circuit) and offers door speeds up to 30 inches per second.